the injury she encountered after she was purportedly r*ped by a gang of four notorious young men. The young lady was allegedly r*ped while she was unconscious.It was gathered that the victim, who works as an apprentice nurse after school hours, was approached by one of the gang members on her way to her workplace last week. It was learnt that the suspect blew an unknown substance into the victim’s eyes, which made her lose consciousness after she resisted his advances. It was gathered that the suspect carried the victim to an uncompleted building in the Baale area of Ajuwon, close to Lagos, where his gang members were waiting for him. The victim, who spoke with The Punch, said she regained consciousness after the boys had allegedly had their turns with her. She said, “When I was coming from school on Friday, one of the boys in the community held my hand and I told him to leave me alone but instead, he dipped his hand inside his pocket, brought out a substance and blew it into my eyes; I immediately became unconscious. “When I woke up, I saw myself in an uncompleted building and I asked him what I was doing there but he shouted me down. When I looked around, I saw four boys with different charms and an axe surrounding me. The victim added, “I started begging them not to kill me; when I checked my body, I saw blood coming out of my private parts; I was offered cotton to clean the blood but I rejected it and used a cloth that was with me to clean the blood. She added that one of the suspects suggested that they should kill her so as to cover their tracks but another gang member opposed the suggestion and threatened to kill her with an axe if she mentioned to anybody what they did to her. The Punch learnt that the matter was reported at the Ajuwon Police Station. However, the mother of the victim told The Punch that the Investigating Police Officer in charge of the case, who gave her name as Inspector Modupe Ogundipe, vowed not to have anything to do with the suspects on the grounds that they were notorious and that one of them had just returned from prison. The mother of the victim added that she was insulted when she went to the police station to notify the officers that one of the boys had been caught. She said, “When we were able to get hold of one of the boys on the day of the incident, we went to the Ajuwon Police Station but the officers there did not attend to us; they insulted us. “The IPO said she couldn’t follow us because one of the boys was an ex-convict who just returned from the prison and she would not want to have anything to do with him. She said if she had known, she wouldn’t even have taken the victim’s statement. “I cried that day but the officers did not budge; they said I should leave their station. “After many pleas, they collected my daughter’s bloodstained pants and the test result from the hospital. She added that she overheard the IPO complaining to another officer that she could not investigate a case in which she would not get money. The victim’s mother stated, “When she was done taking my daughter’s statement, I asked her what we were going to do, she said we should go home but as we were talking, one of the boy’s father came into the station, saying that he just heard what happened. The mother, who said she wanted justice for her daughter, noted that the incident had traumatised the victim, adding that she could not sleep as a result of the experience. She added that the victim was always in severe pains whenever water touched her private parts. The state Police Public Relations Officer, Abimbola Oyeyemi, who confirmed the incident to The Punch, however, denied the allegation that the IPO refused to arrest the suspects. He added that one of the suspects’ mother had been arrested for aiding the escape of her son. Oyeyemi stated, “Since the case was reported, the police have been on the lookout for the boy that was identified among them and when he was seen, the mother of the boy shielded him and allowed him to escape. 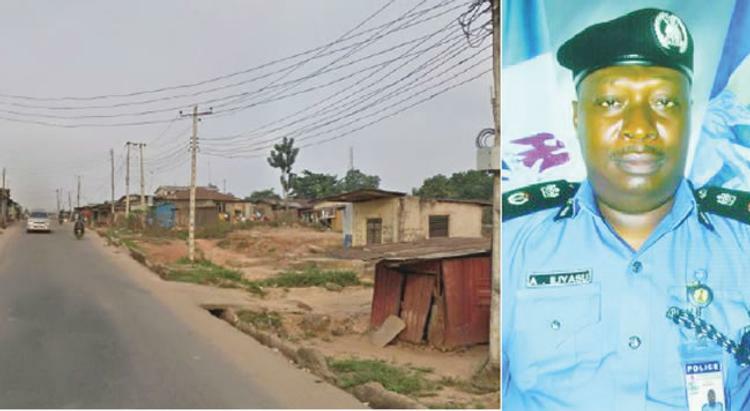 The Executive Secretary, First Whizkidz Educational Foundation, Eugenia Irobiegbulam, who is handling the case, has called on the police to redeem their image to ensure that the suspects were apprehended. She said, “We want justice for the victim because we know there are many victims like her. The girl-child is stigmatised and shamed for what she knows nothing about. “The victim has not been able to go out since the day of the incident; according to the medical report, she was badly wounded and we are trying to get her healed medically, psychologically and emotionally.